Beechdale is much more than just a swimming centre. It is also home to Hoods Hideout Soft Play Adventure Centre including new sensory room and two squash courts. With pool activities to cater for all ages and abilities from parents and toddlers sessions to club sessions and major galas, the centre offers a varied swimming programme for everyone. Hands-on experiments in the Science Centre which explore electricity, magnetism and light, ideal for young children. Hoods Hideout is a soft play area providing a fun environment for children aged 0-11 years to improve their play skills, co-ordination and balance. Hoods Hideout is designed for maximum safety at all times. Dive into the forest on the swing ropes, splash into the ball pool and ride the slides! Jungletastic Ltd is an exciting children's indoor soft play centre in the Nuthall area of Nottingham. The centre provides fun and safe entertainment for children aged 0 - 11 years. Quad biking fun for all the family, quad parties, family sessions, quad ramble adventures and inflatable quad track hire. Bike sizes to suit from 6 years and up. A large main frame for the 5 to 11 years and a separate area with frame and soft play for the 4's and under. OPENING TIMES 30 APRIL 2017 - 24 MARCH 2018 Daily 9am-5pm or dusk if earlierp. A fine tower mill in working order, built in 1813 by a syndicate of local farmers. There is also a display of old farm implements and other bygones in the warehouse beside the mill. Alongside the official tourist board for Nottingham and Nottinghamshire, the centre provides information about countywide attractions, accommodation, offers, events, ticket booking, gifts and souvenirs. PLAYZONE (Indoor Play Building) OPENING TIMES & CHARGES Free of charge. Times do vary - please ring for details. Run Riot is an indoor playcentre for children aged between 2 and 10 years old. There are slides, ladders, aerial walkways, spinners, trolley ride, maze, ball pools and more. An area is set aside for the under 5s. Three thousand sq ft of indoor play area including climbing frames, a helter-skelter, slides, bouncing castle, soft play ball pools and supervised play. Welcome to the beautiful county of Nottinghamshire if you need child friendly ideas of where to take the kids for family fun time or kids days out and fun things to do with the children in Nottinghamshire then we can help. We have family pubs with kids play areas, soft play areas, indoor play areas, outdoor play areas, playgrounds, aquariums, castles, stately homes, children's clubs such as Scouts, Cubs, Beavers, Brownies, Guides, youth clubs, activity centres, Air, Sea, Army Cadets, and all in Nottinghamshire. We list children's entertainers in Nottinghamshire if you are planning a birthday, cinema, theatre, petting zoo, animal farms, children's farms, leisure hire, museum and art gallery, nature areas such as parks, and countryside walks and beaches. We have kids activities related to outdoor pursuits and sports such as swimming, ice skating, ten pin bowling and football centres and other leisure pursuits. We list theme parks and Adventure Parks in Nottinghamshire. If you are looking for zoos with more exotic animals then we have them. Don't forget to look at the nearby counties of Derbyshire, South Yorkshire, Lincolnshire, Leicestershire to see what they can offer you. We have days out with the kids in Nottinghamshire in and near :- Arnold, Beeston, Carlton, East Retford, Hucknall, Hucknall under Huthwaite, Kirkby in Ashfield, Mansfield, Newark on Trent, Nottingham, Selston, Sutton in Ashfield, Underwood, West Bridgford, Worksop. 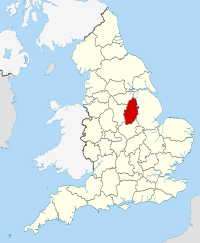 Nottinghamshire (abbreviated Notts) is an English county in the East Midlands, which borders South Yorkshire, North Lincolnshire, Lincolnshire, Leicestershire and Derbyshire. The county town is traditionally Nottingham, though the council is now based in West Bridgford (at a site facing Nottingham over the River Trent).